The best DC comic book to come from DC's New 52 has been Batman, by Scott Snyder and Greg Capullo. Their "Night of Owls" story line, which really started with Batman #1, was a hit in terms of critical opinion (online reviewers) and financial success. Snyder and Capullo took a very unique and interesting approach to Batman by establishing the idea that maybe the man who knew everything about Gotham, and practically was Gotham, had been in the dark his whole life. What if Gotham hadn't been shaped by a bat, but rather a society of owls? Personally, the excellence of Snyder and Capullo's Batman lead me to want more Batman, so I ventured into Batman and Robin which Snyder praised at Wondercon earlier this year. I also started purchasing Batman Incorporated and even went back and collected the pre New DC 52 Grant Morrison Batman and Robin run. Basically, I am now Batman obsessed. But for good reason! Batman books have been stellar. So naturally...I am excited to see the direction of the various Batman titles. The San Diego Comic Con (SDCC) panel, "Batman: Beyond The Night of Owls," will feature editors and writers of the Batman titles including Scott Snyder, J.H. Williams III and more. 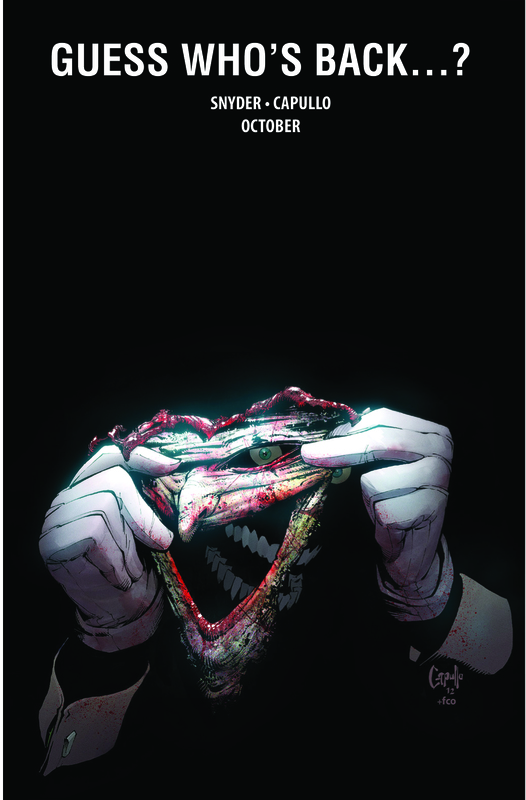 They will be discussing the direction the new Bat-books will be taking and hopefully displaying some new preview art (like the recently released Capullo Joker art preview...posted below). For Batman, Scott Snyder and comic fans in general, the "Batman: Beyond The Night of Owls" panel is a SDCC can't miss. Scott Snyder & Greg Capullo bring the Joker back to Batman.